Competition in the online space can be fierce. You need to be constantly optimizing your WooCommerce or Easy Digital Downloads site in new and creative ways to capture more customers. For some, even a 1% increase in conversions could mean huge profits. Instead of re-hashing generic tips such as “pay for Facebook ads,” that you’ve probably heard a hundred times, today we’ll try to share with you some unique ecommerce strategies that you can implement right away on your WordPress site. Hopefully, you’ll find something in here you haven’t seen before and it can help you get those record-breaking sales in 2018! Some of the biggest names in traditional retail (walk-in) closed more than 5,000 stores in 2017 alone due to declining sales and increased competition from online sellers like Amazon. Amazon actually accounted for 43% of US online retail sales in 2016. Store closures this year include brands such as Sears, Kmart, J.C. Penny, Macy’s, RadioShack, American Apparel, GameStop, Staples and more. And while traditional retail continues to die, thankfully, ecommerce sales are booming! According to a 2017 eMarketer report, ecommerce sales worldwide are projected to surpass 16% of all retail sales by 2021, hitting $4.479 trillion. Is frequent downtime hurting your business? As of January 2018, there are now over 2.2 million sites using WooCommerce, up from 1.7 million in 2016. 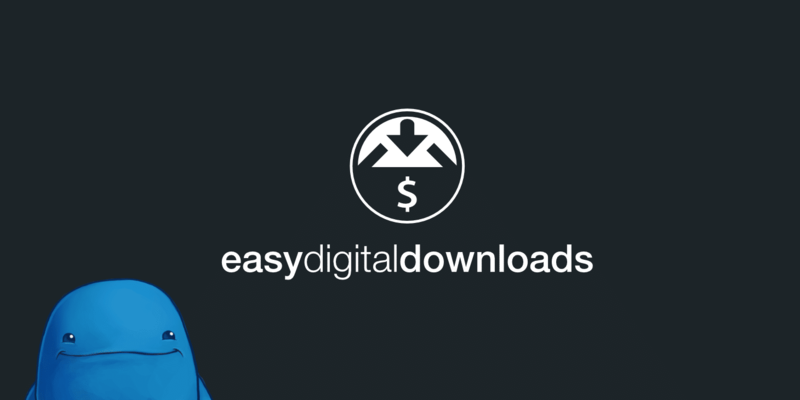 As of January 2018, there are now over 40,000 sites using Easy Digital Downloads, up from 30,000 in 2016. If we take a look at Google Trends, we can definitely some huge growth around the “WooCommerce” search term over the past five years. Unfortunately “Easy Digital Downloads” still doesn’t have enough market share to make much of a blip here. But rest assured, both are grabbing more users every day. Many don’t even realize that both of these are actually still just plugins for WordPress. Because really they have turned into full-blown ecommerce solutions. They each have their own entire ecosystems of add-ons, extensions, payment gateways, webhooks, online communities, and more. However, popularity is not always a good thing. Due to the fact that anyone can easily now launch their own store, the online competition is harder than ever! No matter the size of the business or team, everyone is always looking for more ways to optimize their ecommerce sites and increase their conversion rates. 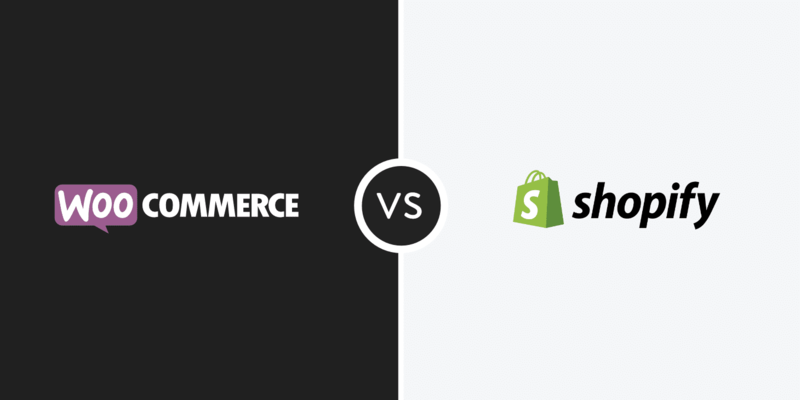 These ecommerce strategies below can be applied for large online WooCommerce stores or even on a small EDD site who is just starting to sell their first premium WordPress plugin. Hopefully, some of these recommendations below will put you a little further ahead of your competition! Did you know that almost 70% of shoppers abandon purchases after they have already put items in their cart? That might sound high to some, but data doesn’t lie! Thankfully there is an is an awesome new service on the market called Jilt. This is probably one of our favorite ecommerce products for this year. The service is essentially about optimizing your ecommerce store so that you can automatically capture lost sales. Jilt is created by the team over at SkyVerge, who are no newcomers when it comes to ecommerce optimization and knowing how customers think. In fact, we did an interview last year with their product lead, Beka Rice. 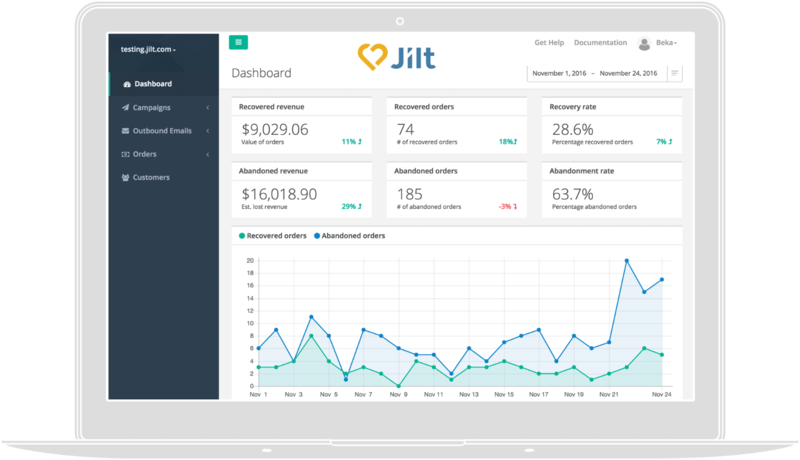 Jilt essentially hooks up to your ecommerce site, it supports both WooCommerce and Easy Digital Downloads, and automates the emails when someone abandons their cart. You can even have it dynamically create unique discount codes for you. Here are a couple great examples below of companies using this strategy, along with clever messaging. 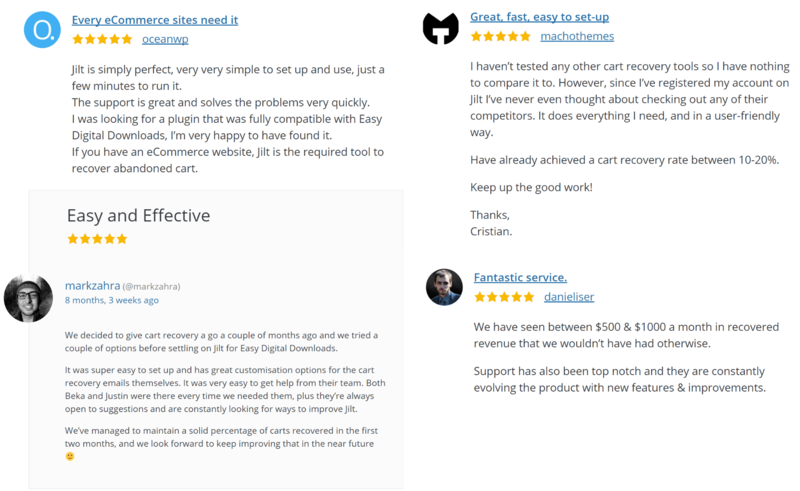 Automatically send an email after 4 days titled “We’re still holding the cart for you.” In this email, have Jilt automatically generate and include a 15% discount code. 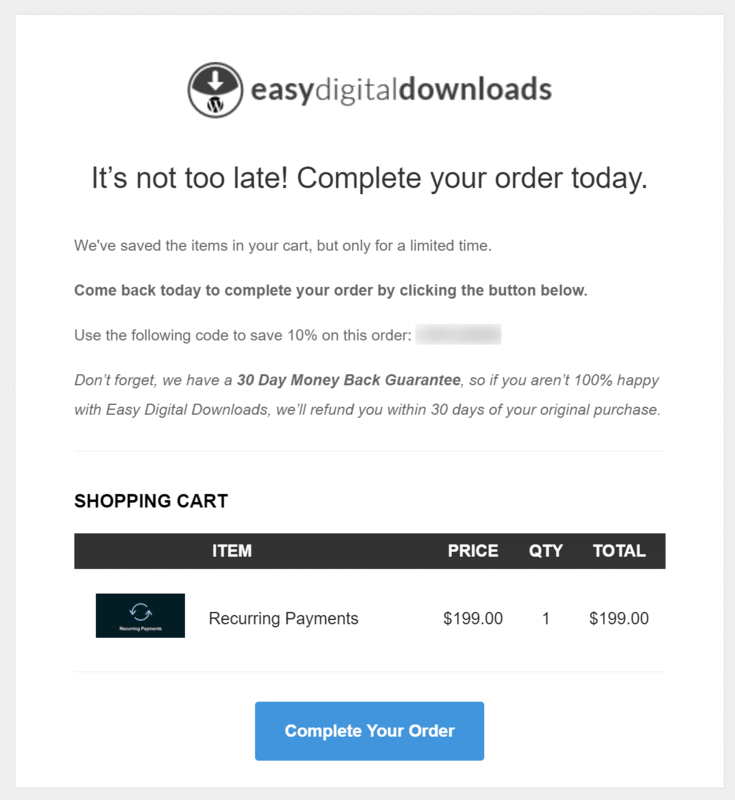 Automatically send an email after 10 days titled “Hurry, your cart will expire soon!” In this email, have Jilt automatically generate and include a 20% discount code. It also provides all the reporting and data analysis you need to see how much extra revenue is earned by reaching customers you would have otherwise lost. And while this service isn’t completely free, their pricing model is probably one of the most flexible on the market, as you pay only for the customers that you reach through your recovery campaigns. Both the WooCommerce and EDD versions of Jilt’s WordPress plugins have a 5 out of 5-star rating on the WordPress repository. Check out some of these reviews it’s been getting from reputable figures in the space, such as WP Mayor, OceanWP, and Macho Themes. You can email between 0 – 25 customers per month for free. So for small shops just starting out, essentially it can be completely free to get started. And their pricing then goes up based on how many emails you send. The great part about this model is that the product pays for itself! You probably would have lost these customers before, and now you can pay for the service while you gain more sales. Another alternative abandoned cart solution you might want to check out is Conversio. Using the psychological tactic of social proof has become pretty popular over the past couple years. Why? Because it has been proven to work. Consumers minds nowadays go hand in hand with what other people are doing online and via social media. According to Wikipedia, social proof is a psychological phenomenon where people assume the actions of others in an attempt to reflect correct behavior for a given situation. One of the most common ways to use social proof is to show off customer reviews on your ecommerce site. Tip: reviews with pictures have been proven to do better! Here is an example below of one we use on our Kinsta site. Notice we don’t just use a picture of the site, but actually get a picture of the employee at the company. This gives it a much more personal feel that you can connect with. Some of you might have also heard of the term FOMO. This is essentially the “fear of missing out.” By leveraging social proof with a sense of urgency, you can boost your conversions! To take advantage of FOMO on your site we recommend checking out the new plugin just released this year called HollerWP. It is developed by Scott Bolinger, who also created the popular AppPresser plugin. We love plugins from developers devoted to the WordPress community, and Scott is one of them! In fact, we had also did an interview with him last year. HollerWP has a lot of different features, such as subtle notification boxes, lightbox popups, email capture boxes, etc. 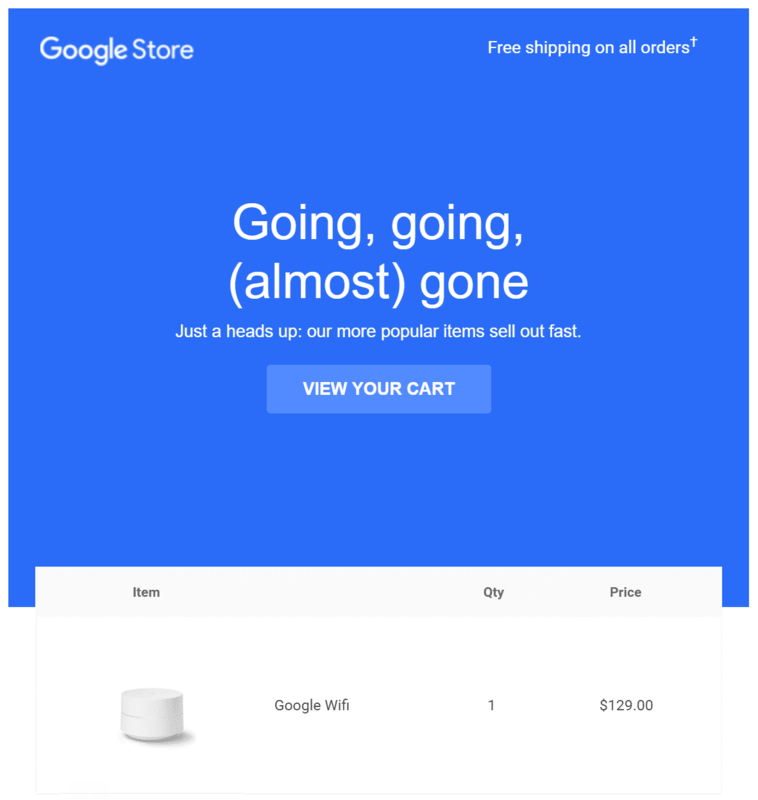 But the feature that is really neat, especially for ecommerce stores, is the FOMO feature where you can show notifications about recent purchases. 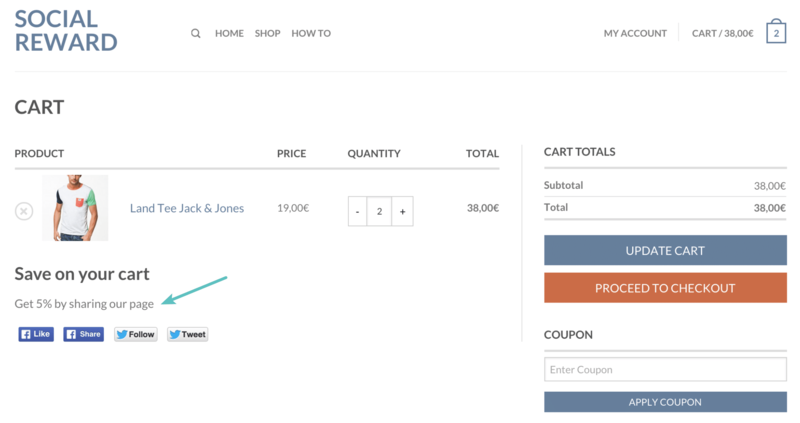 You can show a customer gravatar or the product featured image. And yes, it fully integrates with WooCommerce or Easy Digital Downloads. And if you like FOMO, you might also want to check out WPfomify. It was developed by IdeaBox Creations to allow site owners to better leverage social proof. Like HollerWP, it also has integrations with WooCommerce and Easy Digital Downloads. Another great free way to leverage social proof is to always re-share positive feedback on Twitter and Facebook, especially when it’s from influencers with a large following in the space. This might sound too easy, but we see a lot of businesses not doing this. It can and will turn into new leads and sales for your business. Why? Because other people see someone popular using a product and or service and again, they have a fear of missing out (FOMO). That and they might simply be looking for a better alternative product or service. Below are just a few examples of feedback that we received about Kinsta and re-shared. And last but not least, use social share numbers for the networks that are popular with your customers. Sites for Profit did an A/B test on their page to determine this. They essentially tested a button with no counters, one with a zero share counter, and one with over 1,000 shares. And guess what? The button with the 1,000 shares had a 60% higher click rate compared to the one with a zero count. Remember that social share counts don’t have to just be for blog posts, they can be utilized on your WooCommerce and EDD products! Social Warfare has a great post about social share proof and share buttons. In fact, they found that showing no share counts is better than showing low share counts. We recently dove into 13 social media plugins for WordPress which you can use on your site to boost traffic, shares, and conversions. Most of the plugins listed have the ability to show share counts. Everyone knows that a great way to generate more sales any time of the year is to create promotions along with a coupon or discount. However, where a lot of ecommerce sites fail is when it comes to promoting the coupon itself. Just like with good content, you need to spend time promoting! Little tricks can go along when it comes to getting more eyeballs on your coupons. One of our favorite ways is to temporarily use a notification bar at the top of your ecommerce site. You can run this during the period of your promotion or during the holidays. Come up with clever messages to create a sense of urgency. Such as “10% off for a limited time” or “10% off from now through Black Friday.” Also, make them clickable to your sale. We encourage you to run your own A/B tests, but you would be surprised how many clicks bars at the top of sites generate! WordPress Notification Bar: Developed by SeedPro, who is known for his Coming Soon Page and Maintenance Mode plugin for WordPress. There is both a free and premium version. WP Notification Bars: Developed by MyThemeShop. There is both a free and premium version. HollerWP: We mentioned this plugin above. Besides FOMO, it also includes a way to create discount header banners. It’s an excellent premium solution. You could also easily create a notification bar, like the one shown in the screenshot above, without any plugin at all. Simply add the following code to your header.php file, right below the </head> tag. And then add the following CSS to your theme’s stylesheet. If your theme doesn’t have a way to add CSS, you can add it in the WordPress customizer or with a free plugin like Simple Custom CSS and JS. Another approach you could take is to implement what some call a “social reward.” This is a strategy where you give the customer an additional discount on their purchase in exchange for a share on Facebook or a tweet. 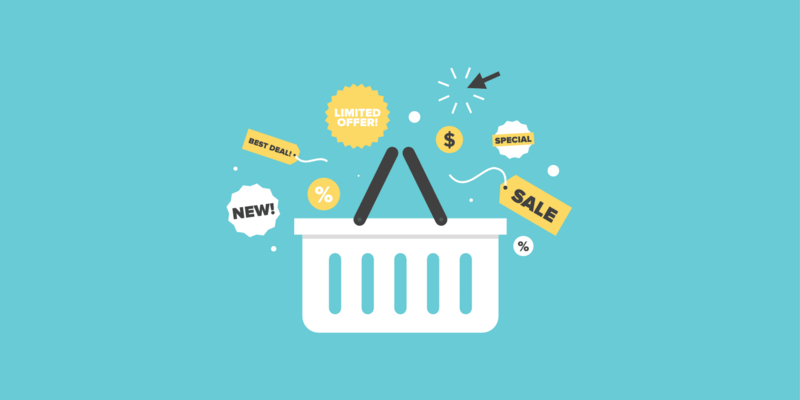 According to a study by KissMetrics, 54% of shoppers will purchase products left in shopping carts, if those products are offered at a lower price. So give customers a way to lower the price. Need some more ideas? Check out some these additional WooCommerce promotion tips to drive more sales. If you haven’t launched an affiliate program yet, it’s never too late to start! Affiliate programs can be an excellent way to get the word out about your brand or products. Everyone knows that word of mouth is one of the best ways to increase sales, and affiliate marketing can be seen as a form of word of mouth. A 2016 Rakuten Affiliate Network survey showed that a majority of publisher’s affiliate partnerships drove more than 20 percent of annual revenue. However, another interesting fact from AM Navigator is that in most affiliate programs only 10% of affiliates are responsible for 90% of activity. This is most likely due to the fact that you’ll get a lot of people signing up with ideas or dreams to make money, but in reality, they’ll never follow through. Typically a large majority of ecommerce site’s affiliate sales come from a small majority of higher quality affiliates. There are definitely good affiliate marketers and bad ones. However, that shouldn’t prevent you from moving forward. One of the best reasons to launch an affiliate program right away is that its free promotion! There are usually no or little costs involved in running it, other than some time. Let bloggers help spread the word about your brand or products. Over time, you can really in hone in on this as you develop relationships with higher authority figures in your industry who generate a lot of traffic. We have an affiliate program here at Kinsta, which is free to join! We have full-time developers so we went the route of creating our dashboard and entire system from the ground up. However, for most, this is not possible due to costs in outsourcing or time. In that case, we highly recommend the premium AffiliateWP plugin. 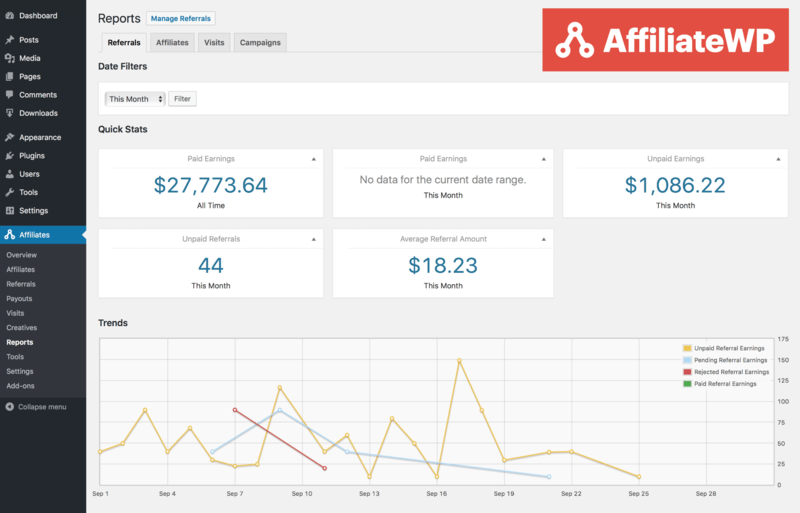 AffiliateWP is created by the same developers as Easy Digital Downloads. But don’t worry, it works great with WooCommerce as well! And if you’re worried about the complexity of it don’t be. We’ve set it up ourselves multiple times and you can literally be accepting new affiliates in a matter of minutes. However, we have another alternative you can throw into the mix. And that is push notifications! WordPress push notifications allow you to automatically notify your audience when you have published new content or even ecommerce products on your site. You can also send out predefined messages at any time, which is where it really becomes powerful. This can be a notification on a phone or via a browser, such as Chrome, Firefox, or Safari. Check out our in-depth guide on how to install push notifications on your WordPress site. If you aren’t utilizing push notifications yet than you’re missing out! In fact, we see better conversions from our push notification list here at Kinsta than we do our email list. Remember, that even if you don’t personally subscribe to notifications, it doesn’t mean that’s how your visitors think. Don’t ever assume when it comes to marketing your ecommerce site, testing is the best way to get concrete data. We use OneSignal here at Kinsta, and on a brand new site that we added it on, we had over 140 push notification subscribers in under 48 hours (see below). And in less than 3 months of using OneSignal, it was already our 3rd highest organic traffic source! We get very consistent traffic spikes that coincide with our content publishing. And as our OneSignal user base grows, so does our traffic. You can see more stats in our OneSignal case study. And remember, this doesn’t have to be used with just blog content. You could easily send out notifications about new ecommerce products or a massive sale you have going on for the holidays! The trick here is not to send out too often. So for example, we typically send out push notifications twice a week, and our newsletter once a week. You don’t want to do more than that, otherwise, you might start seeing large unsubscribe rates. The following ecommerce strategy is really more applicable to new businesses, but could also easily work if you’re launching a new product. And that is to take advantage of Product Hunt! We have seen this work time and time again. It can result in huge traffic, especially if you get featured as product of the day. Take Draftsend for example. 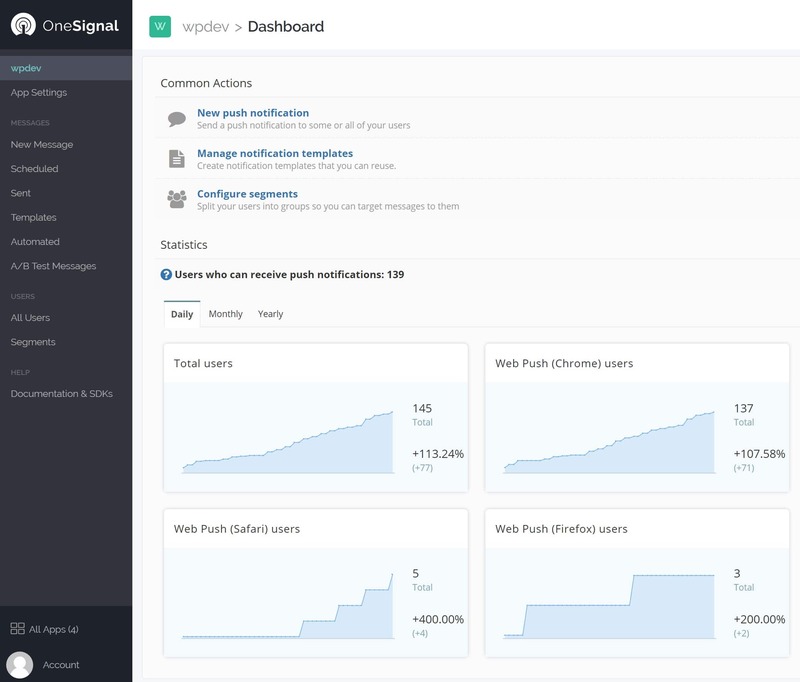 This was a new product that recently launched on Product Hunt and blew up! They received over 900 upvotes in 24 hours alone. You can almost guarantee this resulted in a lot of signups and eyeballs on their product. And the best part of it is, it’s free to list your product on Product Hunt. It’s definitely something you should introduce into your online ecommerce strategies going forward. It can be a little bit of a gamble like Reddit, as you don’t know if your product will take off on there or not, but there are things you can do to improve your odds. 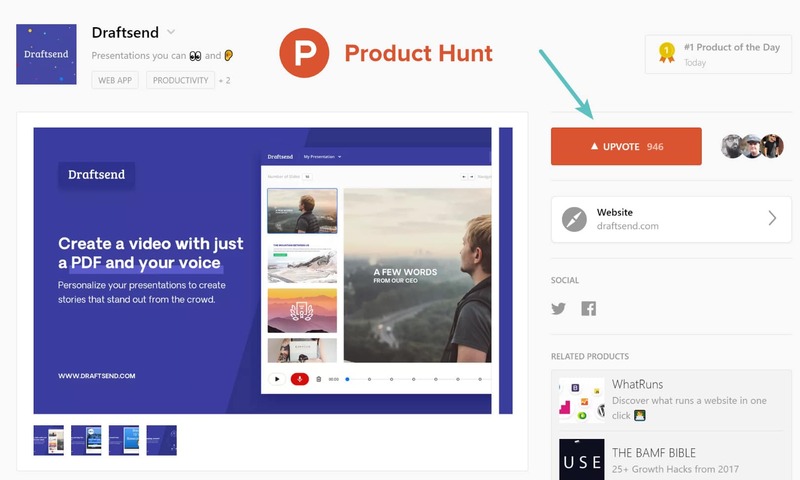 Check out this complete guide on how to launch on Product Hunt. People are always in a hurry, a lot more than they were 10 years ago. So removing any barriers you might have from the checkout process could drastically increase your sales. According to a study by Kissmetrics, 23% of users will abandon their shopping cart if they have to create a new user account. That is a lot! Here are three recommendations. The first is to create a guest checkout for new customers. This way can they can quickly add products to their cart, purchase, and be on their way. In a lot of scenarios you can still create an account for them, it’s simply automatically generated instead of prompting them for all the information. This way they can reset the password later on from their email when they have more time. 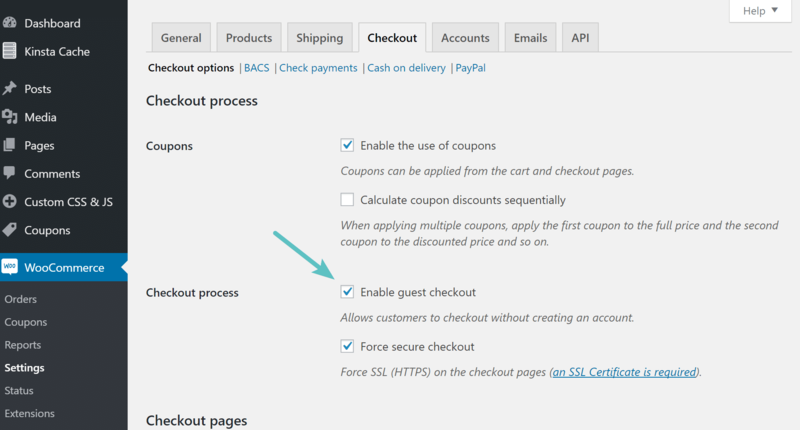 In WooCommerce you can enable guest checkout under the “Checkout” tab. In Easy Digital Downloads, guest checkout is actually enabled by default. The second recommendation is to utilize social logins for checkout. Some customers might not like this due to security concerns, while others are probably fine with it. The great part is you can offer both to speed up the checkout process for everyone. The official WooCommerce Social Login extension is actually developed by SkyVerge, who also developers Jilt, the product we mentioned earlier. 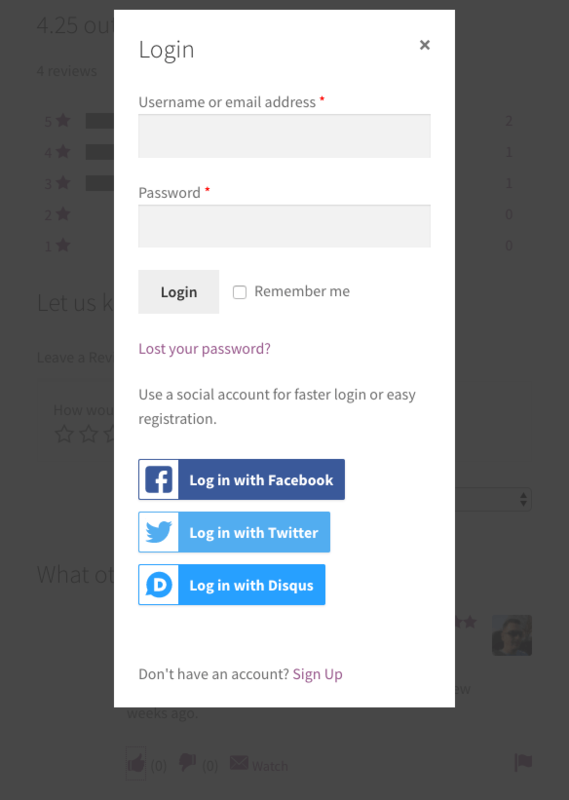 There’s also the Social Login extension for Easy Digital Downloads. And the third recommendation is for those with physical products, and that is to get rid of those shipping charges! According to that same Kissmetrics study, 28% of shoppers will abandon their shopping cart if presented with unexpected shipping costs. So the best advice would be to either show them right from the beginning what shipping will cost or figure out a way to price your products with shipping included. Have you ever tried free shipping to see how it impacts your conversions? AliExpress revealed in a presentation that by reducing the load time for their pages by 36% they recorded a 10.5% increase in orders and a 27% increase in conversion rates for new customers. Ancestory.com saw a 7% increase in conversions after improving render time by 68%, page weight by 46% and load time by 64%. 53% of visits to mobile sites are abandoned after 3 seconds according to research from Google’s DoubleClick. 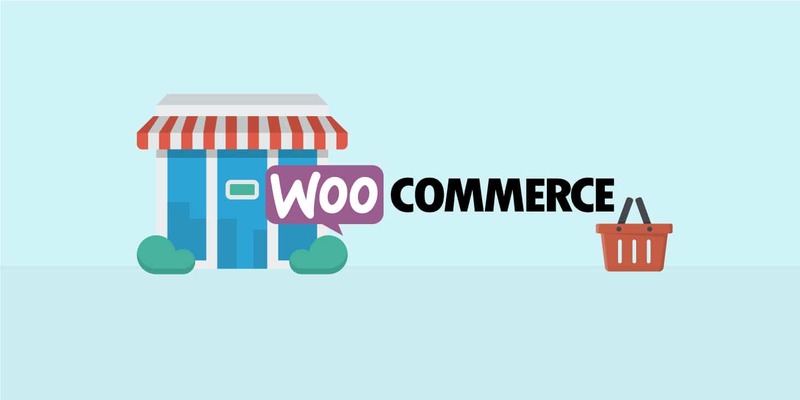 WooCommerce sites especially are very demanding as they generate a lot of data, as well as un-cachable requests, which means you need robust PHP and database resources in place. It is important when choosing WooCommerce hosting that you use a container-based host that is built for scaling, as well as has its resources isolated. When it comes to high-traffic sites WooCommerce sites, that is our specialty here at Kinsta. Our knowledgeable support engineers look at each case on an individual basis and are used to working with all sorts of setups, from large WooCommerce solutions to small EDD shops. Previously we have helped companies such as DartDrones prepare their WooCommerce site for the flood of traffic they were going to get from appearing on the popular television show Shark Tank. 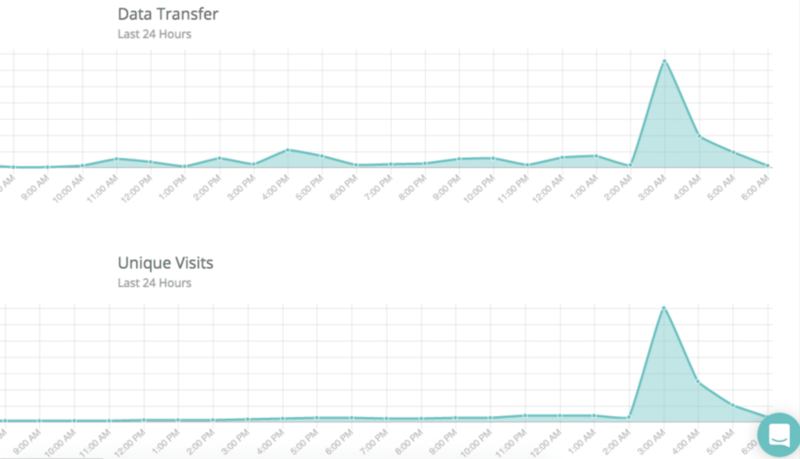 As expected, their traffic skyrocketed right around 8 PM eastern time (shown in EU below). In the heavy 6 hour period after airing, there was a total of 1,263,233 requests with 2 TB cached bandwidth used and only 3 GB of un-cached bandwidth. We were able to provide 100% uptime, while delivering faster page load times than their previous host. Fast server-level caching in place with rules to ensure proper WooCommerce and EDD functionality. Being able to provide additional PHP workers on higher plans if needed. Additional PHP workers allow for multiple requests to execute simultaneously. By default, certain WooCommerce and EDD pages like cart, my-account, and checkout, are excluded from caching. Users automatically bypass the cache when the “woocommerce_items_in_cart cookie” or “edd_items_in_cart” is detected to ensure a smooth and in-sync checkout process. We also utilize New Relic to help clients easily diagnose what might be causing abnormal load time on their sites. Typically this can be from third-party plugins, slow queries, or badly written code. According to HTTP Archive, images make up on average 66% of a total webpage’s weight. And because of product catalogs, this is usually even worse on ecommerce sites! So optimizing your images is essential. Offload and cache additional files such as MP3s, PDFs, etc. Utilize a content delivery network (CDN) to instantly speed up the delivery of your assets around the globe. In our tests, sites across continents saw over a 50% decrease in page load times. Implement caching on your WordPress site. We handle caching for clients at the server-level, but if yours doesn’t you can install a caching plugin like Cache Enabler WP Rocket. Disable and limit scripts that aren’t needed to ensure faster page load times. WooCommerce is known for getting hammered with AJAX requests from (wc-ajax=get_refreshed_fragment). You can make sure that this only loads on WooCommerce pages and doesn’t bog down the rest of your site. 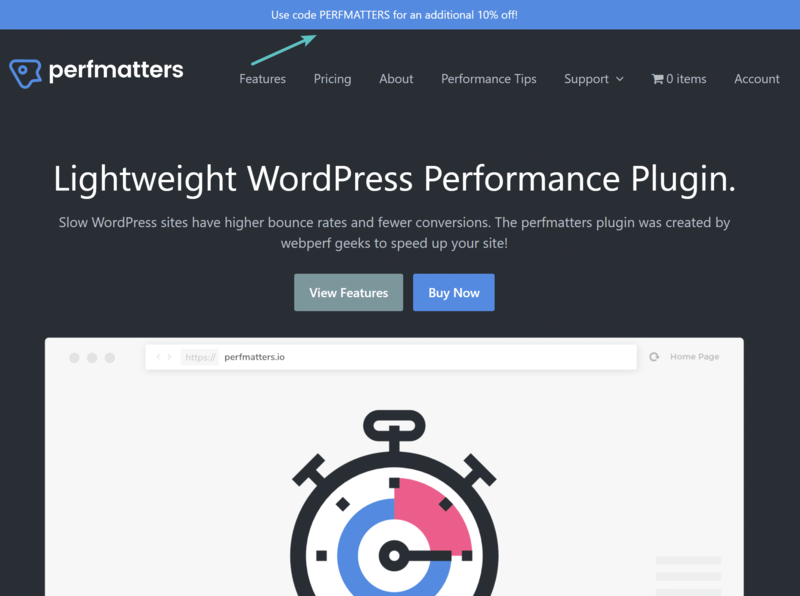 You can use a premium plugin like perfmatters to do this with a single click or dive into our in-depth tutorial on how to disable scripts and plugins on a per page/post basis. Optimize your WordPress database. If your database gets too big with thousands of tables, it can start slowing down queries on your site. We always recommend limiting your post revisions, deleting old ones, clearing out transients, converting tables from MyISAM to InnoDB, and cleaning up your wp_options table. Work on lowering your ecommerce site’s time to first byte (TTFB). Properly diagnose and fix any high Admin-AJAX usage. And don’t forget about mobile! More and more traffic every year is coming from mobile devices. In fact, according to statista, as of August 2017, mobile devices accounted for 52.64 percent of web page views worldwide. And remember, not everyone is using 4G yet. So it’s important that load times are snappy so you don’t lose customers. All of the above recommendations will also help you increase speeds on mobile, or you can also look at testing Google AMP on your site. AMP offers a way to serve up a stripped down version of your current web page at lightning fast speeds. Some big ecommerce sites like eBay are already using it and have seen great results! 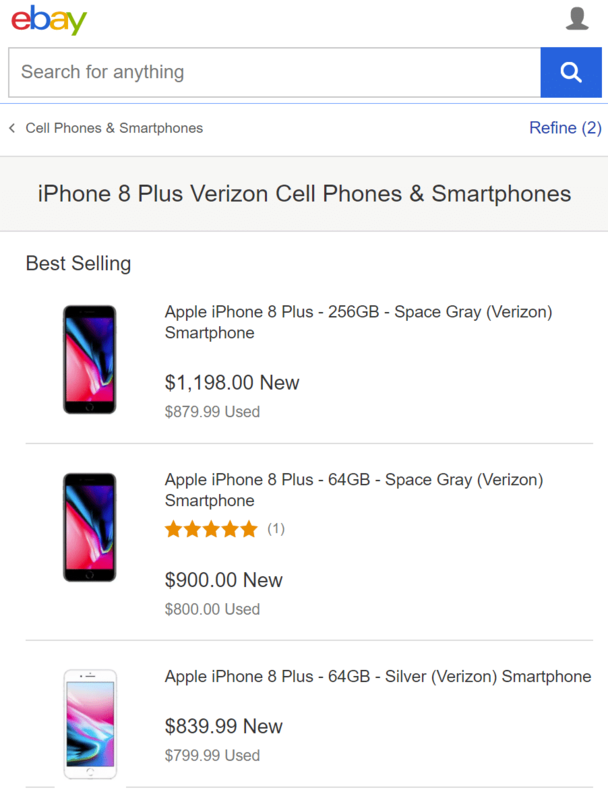 Here is an example of eBay’s AMP page. 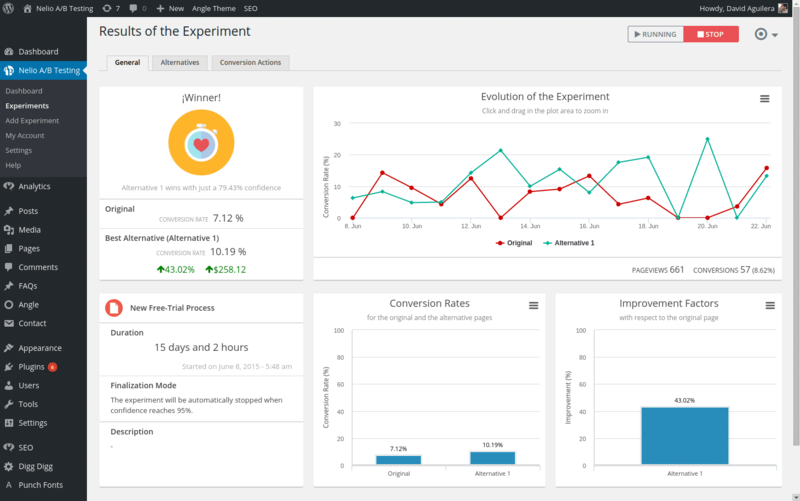 When it comes to ecommerce strategies, A/B testing should always be towards the top of the list. This is something that many marketers discuss, but there is usually little follow through. If you sell products online, the bottom line is that you should be constantly running A/B tests. Turn this into a weekly or monthly habit and you should be able to see improvements to your sales, CTR, time on site, and even SEO in no time! A/B testing, also called split testing, essentially pits two-page elements against each other in a head-to-head scenario that tells you which element readers respond to more. For instance, if you want to test a new product title, you can design two identical web pages that feature separate titles and direct traffic to each web page to see which headline results in more page views, time on page, higher conversions, etc. You then simply take the winner, and rinse and repeat the process. There are also other types of testing, such as multivariant tests you can also dive into. Here are a couple plugins we recommend checking out. Most, if not all of them have integrations for WordPress and can be used to run A/B experiments with your WooCommerce and or Easy Digital Downloads store. And remember that no A/B test is too small! Brian Massey recently conducted a study in which he ran A/B tests on ecommerce site navigation. He discovered that the words you use on your main navigation may influence your visitors more than the way your main navigation works. For example, he replaced the navigation item “Product Categories” with “Shop Products” and saw a 13% decrease in the sitewide conversion rate. Wouldn’t it be great if you could simply change a word and see more sales? Well, it might very well be that easy. There is no way to know unless you A/B test, and then A/B test some more. Have you tried live chat on your ecommerce site yet? According to a study by Forrester, 63% of customers said they were more likely to return to a website that offers live chat as opposed to one that doesn’t. Why? Because customers like to know they can get their answers right away. Does it help with sales? Of course it does. 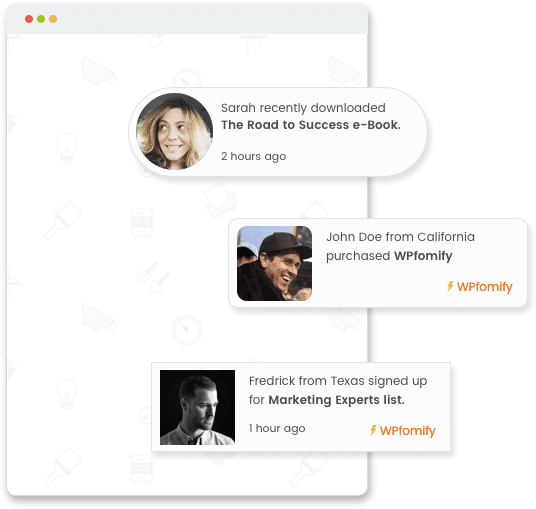 Drift was able to increase their inbound leads by 200% simply by putting live chat on their website. We’ve used Intercom since day one here at Kinsta and it’s worked very well for us. 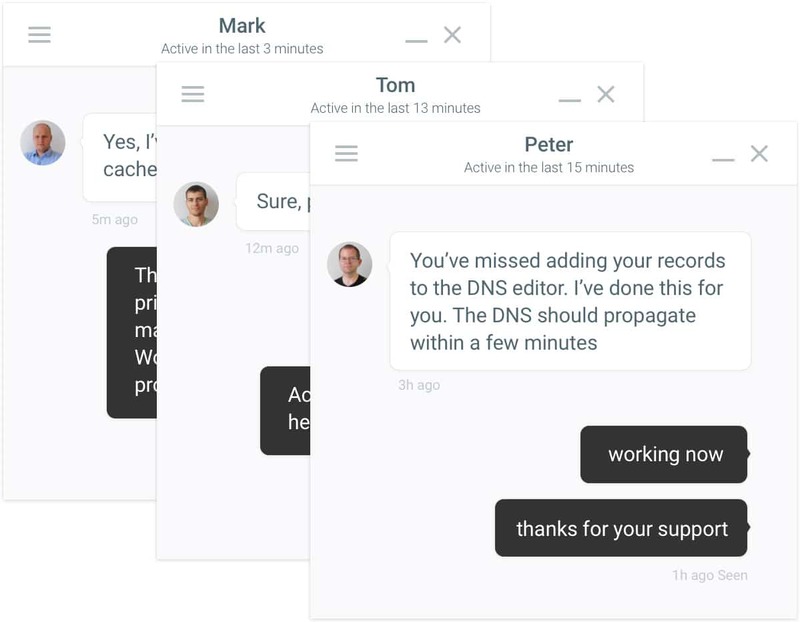 Intercom has provided an easy way for us to integrate chat and support tickets (seen below) it into our dashboard so customers know we’re always one click away, 24×7. Still, to this day we get compliments from customers that are impressed with our chat solution. You can decide for your own situation whether or not you only want logged-in customers to have access to chat, or everyone. We suggest testing both methods! And if you’re looking for even more to compare, don’t miss our in-depth post with 11 chat solutions for WordPress. You can take your ecommerce site to the next level by employing marketing automation and AI to convert more customers into revenue. If you have a WooCommerce store we recommend checking out Beeketing. This allows you to basically put your store on steroids and employ proven marketing tactics with a click of a button, such as recommending targeted products upon adding something to the cart. Add sales countdown clock and low-stock indicator on product pages to create urgency and scarcity. On mobile web version: add a Buy Now button fixed on top or bottom when customers browse. Upsell & Cross-sell related products (support both manual product selection and auto-recommendation). Bundle up frequently bought together products and sell the combo at a value discount. Sales Gamification: Motivate customers to spend more to reach a cart value threshold and receive a reward discount. Offer a cart-level discount, free shipping, or free gift, if customers complete order. Upsell more products after checkout to invite repeat purchases (offer coupons to incentivize). 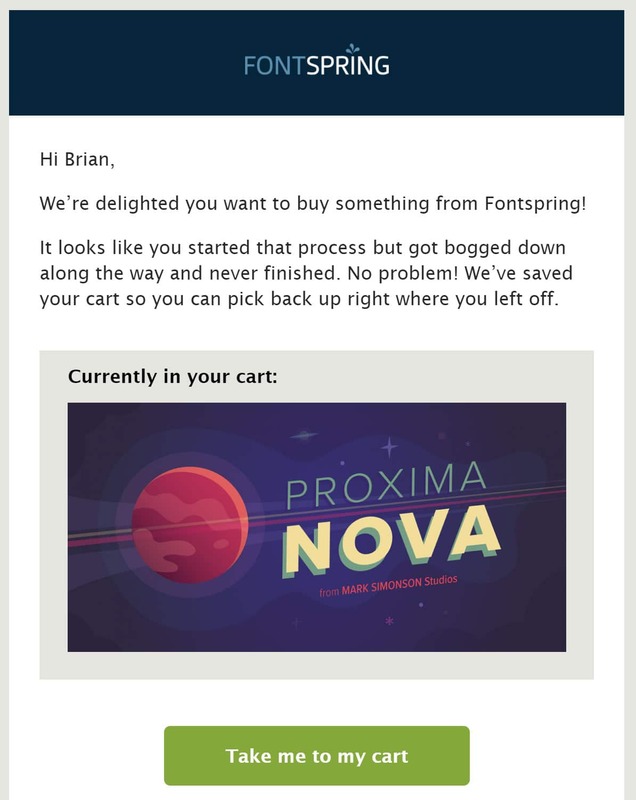 Send cart & browse abandonment emails. Show how many people have viewed and bought products to build social proof. As you can see there is a multitude of different ecommerce strategies and optimizations you can implement to take your site WooCommerce and Easy Digital Downloads stores to the next level. Even little changes can make all the difference. So don’t doddle, as you can be sure your competition won’t! Did we miss any important tips, or do you have another unique one to share? We would love to hear from some fellow ecommerce site owners. Feel free to leave your comments below. Great article! All the strategies are very detailed and very solid. Brian, thank you so much for the mention to us over here at Jilt, we definitely want to provide a solid product to those using WooCommerce and EDD this holiday season that will help increase sales and conversions. We have lots of new features coming up in the next few months and are excited to be part of an incredible community. It’s great to see the steady rise of WooCommerce and EDD over the past few years, eCommerce has certainly gained a lot of momentum in the WordPress space. Thanks again Brian and also to Kinsta! Cheers. Thanks for the mention, Brian. Glad you’ve found our work of help. Np, always happy to reference stats :) Having worked with multiple affiliate programs with different tech companies, I’ve found these particular statistics regarding affiliate programs to also be true. What a fantastic and useful article. I have already implemented a few of your suggestions, including OneSignal for browser push notifications. You state above “And in less than 3 months of using OneSignal, it was already our 3rd highest organic traffic source! “. How did you determine this? I use Google Analytics. What source/medium is used for the Push notifications (sent by OneSignal) that I can use for filtering and segmenting the traffic? Once again, thanks for a great article. I hope you can help me with my question. 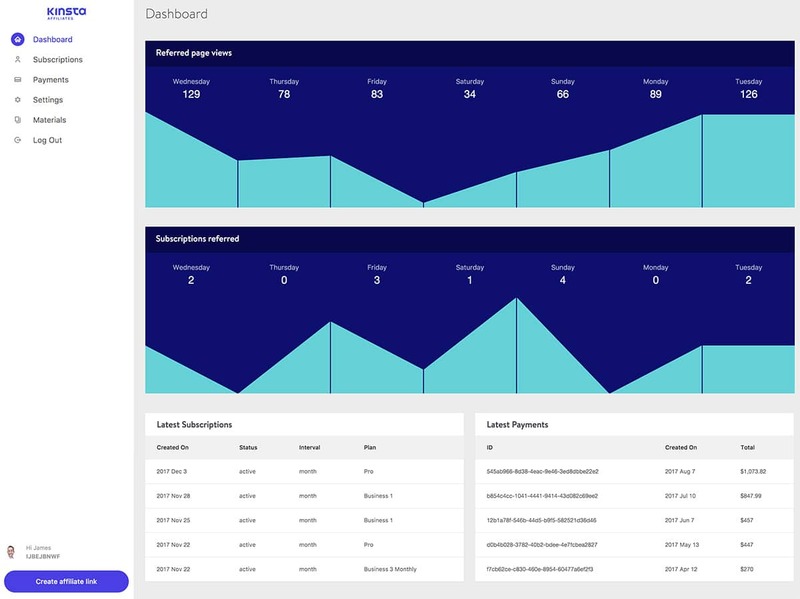 Hey Amit, we have some examples of how we use UTM parameters with OneSignal in our other post: https://kinsta.com/blog/wordpress-push-notifications/ Hope that helps!